Here are some of the things that went down at Adobe's Symposium 2019. The Adobe Symposium 2019's central theme was utilising artificial intelligence (AI) for businesses at various stages of dealing with customers. The 'customer' took centre stage for all discussions - this included getting in new customers, retaining existing ones and ensuring that repeat customers have the best user experience. Throughout the day, brands took to the stage to talk about the innovations that they had brought into their business with the help of Adobe Analytics and Adobe's AI arm - Adobe Sensei. Adobe Sensei is not unlike Microsoft's Cortana or Apple's Siri - they just have different functionalities. Participating companies also showcased creative ways they used AI to retain customers. They went on to show that beyond just using AI to bring a customer into the business, Adobe's AI could also be extensively used to read and understand consumer data and bridge the gap of understanding between marketers and consumers. 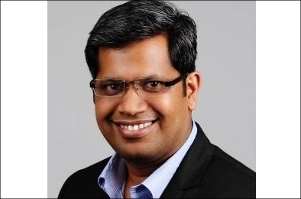 During a session, Rahul Pandey, head of digital marketing at Flipkart, discussed the challenges that marketers had to face. He mentioned that with digital marketing, it has become difficult to discern the differences between the results of online marketing and offline marketing. He further pointed out that it creates a gap in understanding the consumer's needs that had to be filled eventually. The end of the day saw stand-up comic Biswa Kalyan Rath take the stage with Sunder Madakshira to test new features of Adobe products that are yet to be released to the public. Two of the most notable features that Rath got to test were called 'augmented offers' and 'journey genius'. Augmented offers is aimed at frequent travellers, making food and other items available to them at discounted rates. Similar to how users play Pokémon Go, one had to hold up their phone to see available offers to use them. Different zones would help a consumer avail of different offers. While this is a feature that most can envision, the other one that caught our eye was something that seemed quite futuristic. The presenter also thought along the same lines. He referenced the 2002 Tom Cruise starrer - Minority Report. While Guru Vaidya's idea isn't as radical as the technologies from the movie, it's halfway there. He discussed an algorithm that tracks consumer behaviour enabling marketers to accurately predict what the customer's next course of action would be. In a way, Adobe is training AI to complete your train of thought and predict your next move. Adobe also discussed their recent acquisition of e-commerce platform Magento. Magento is an open-source platform, now merged with Adobe's Commerce Cloud, to enable businesses to understand the end consumer better and deliver results in tandem with Adobe Experience Cloud - an integrated platform for analytics, advertising and content creation. 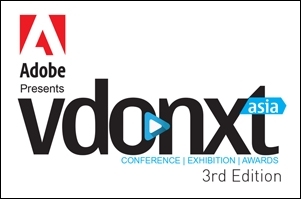 vdonxt asia back with 3rd edition; get ready for all things digital video!